Keenan Hurley is a New York based writer, theater maker, and designer. 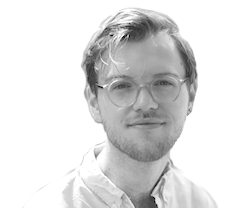 As a sound designer he has worked with artists such as Sibyl Kempson, Dawn Akemi Saito, Erin Markey, and Church of the Millennials at venues such as The Kitchen, Abrons Arts Center, The Bushwick Starr, The Whitney Museum, Mount Tremper Arts, BAX, and Dixon Place. Additionally, he has worked extensively as a technician and audio engineer at Performance Space New York/PS122. His theatrical works include original plays as well as separate collaborations with Kedian Keohan and Peter McNally that have been presented and developed at JACK, 59E59, Judson Church, FEAST: A Performance Series, The Playwriting Collective, and The Edinburgh Fringe. He is a graduate of the theater program at Fordham University where he concentrated in playwriting. He joined The Flea as Associate Technical Director in 2018.